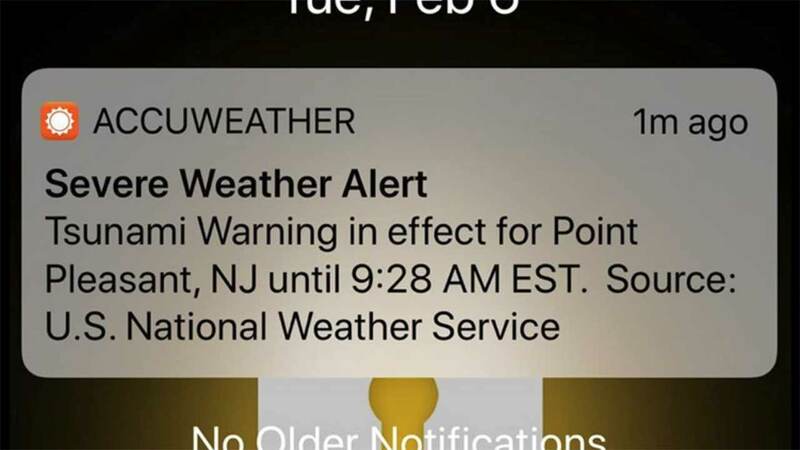 Tsunami warning alert meant as test goes out in error to app users. A National Weather Service Tsunami Warning sent out this morning was a test. No warning is in effect, and there is no danger to the public. Smartphone users may have received the alert as a notice on their phones. Once a user clicked in to the story, it became apparent this was only a test. 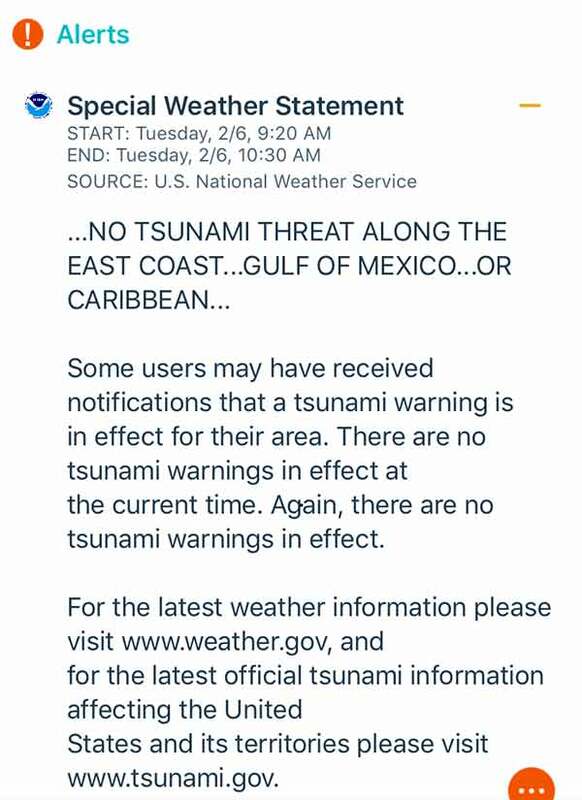 The alert was issued by NOAA, and was sent to users on the East Coast and Gulf Coast.